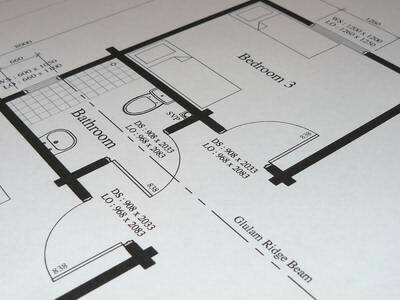 Log Cabin design principles – Get the basics right! Do you know what the log cabin design principles are? Well some countries, like Finland, who manufacture a lot of log buildings actually produce their own guidelines for log cabin design principles. Most people probably haven’t heard of them, but they are basically the fundamental requirements for log cabin design. I have added one or two additional areas of design criteria too, as I have seen these issues come up time and time again, over the years! As log cabins are unique in how the achieve their structural strength and rigidity, so their design most follow certain criteria. The logs also act as lintels over window and door openings. They can be supporting beams. Crucially log structures settle and this is probably one of the single most important factors, which must be allowed for in the design process. The size and type of the log is also key here as smaller logs will offer less design flexibility. Also never forget to research the roof design and roof tiles early on in your project, as changing your mind later on could affect the whole structural design of your log cabin! 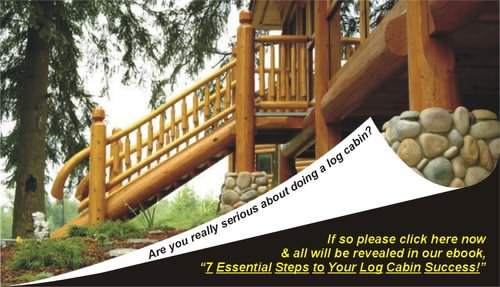 Why do you need our log cabin ebook? Each of these 6 additional 6 section are sub-divided into many small sub-section, which really drill down into the detailed, yet understandable and practical advice. This advice has been the accumulation of many years of real "hands on" experience. It is packed full of informative advice, pictures and illustrations, so you can really see what you need to focus on. 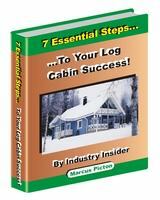 Our log cabin ebook will really give you a massive head start over the average log cabin customer. The right knowledge can be priceless and utilized well should ensure your project is a total success! Read all about design principles in our ebook!